In June of 2013, the Legislature approved Gov. Jerry Brown's Local Control Funding Formula, the most sweeping education funding reform in decades. The LCFF represents a historic shift in how California funds public schools. With a focus on local decision-making, equity, accountability and transparency, it lays the foundation for local education agencies to improve student outcomes and close the achievement gap. The new system has an eight-year implementation plan, with 2013-14 as the transition year. 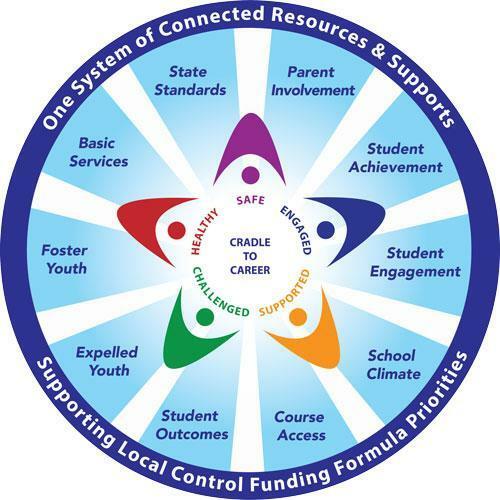 The LCAP is a critical part of the new Local Control Funding Formula (LCFF). Each school district must engage parents, educators, employees and the community to establish these plans. The plans will describe the school district’s overall vision for students, annual goals and specific actions the district will take to achieve the vision and goals. The LCAPs must focus on eight areas identified as state priorities. The plans will also demonstrate how the district’s budget will help achieve the goals, and assess each year how well the strategies in the plan were able to improve outcomes.